At Braxton we understand that letting a property is a major commitment and one where it is vital to maximise the return on your investment and to do so quickly and without undue complications. Our services never lose sight of this and are designed to make a letting as smooth and straightforward as possible. We enjoy an enviable reputation for quality service and have worked hard to establish excellent relationships with major national and international relocation companies, international schools and blue chip organisations. This, coupled with our other marketing activity, ensures we always have access to quality tenants who are in a position to proceed in the timescales you require. Our approach to marketing is modern and innovative, yet combines the latest technology with a traditional and personal approach to customer care. We have invested in the latest innovative software and telephone systems and we are immediately able to contact all of our potential tenants as soon as a property comes to the market. We pride ourselves on providing prompt feedback to clients and discussing all comments, in order that, where necessary, we can agree and adjust your specific marketing plan quickly and efficiently in order to maximise the potential of your property. Our internet coverage is so huge that properties listed with us for rent are reaching many thousands of potential tenants, who visit our carefully selected choice of websites, every day. We also maintain a distinctive advertising profile locally and combining this with our experienced personnel and our large constantly updated database, ensure that we explore every opportunity to achieve a letting at the best possible rent and within the timescale that suits you. Increasing legislation and regulation make it vital that the interests of both landlords and tenants are protected and our experienced and proactive property management team can advise and provide a full range of compliant and professional management and rent collection services. For landlords, avoiding void periods and having property proactively managed means that the returns on investment are maximised.  We professionally reference all tenants and are licensed founder members of the Association of Residential Lettings Agents (ARLA).  ARLA is the only professional body that is solely concerned with the self-regulation of letting agents and has, since 1981, been actively promoting the highest standards across every aspect of residential lettings and management in the Private Rented Sector. ARLA also ensures that all Clients’ monies held are fully protected. We are also members of The Property Ombudsman Scheme (POS) and The Dispute Service (TDS) which provides further peace of mind for both Landlords and Tenants. At Braxton, both landlords and tenants benefit from dealing with experienced professionals who aim to make the whole process a straightforward experience.